Charges have been filed against a man who ran from a car that witnesses said was involved in a shooting incident in Uptown on Sunday evening, police said. Witnesses gave police the description and license plate number of a vehicle that was seen fleeing the area of Clarendon and Sunnyside where ten shots were fired around 8:50 p.m.
Officers who encountered the car near Lawrence and Western said the driver refused to pull over and 26-year-old parolee Paris McKinley jumped out of the passenger side door in the 5700 block of North Ravenswood. The car sped off and was last seen entering Lake Shore Drive at Foster, police said. A foot chase involving McKinley and cops took them through a series of yards in Andersonville, leaving two broken gates in its wake, police said. When McKinley was captured, he put up a fight with officers who found a ski mask in his possession, according to prosecutors. 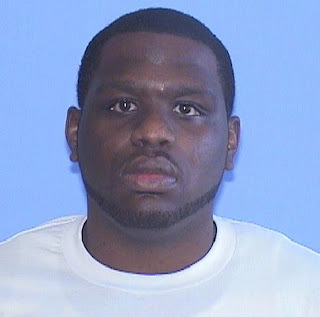 A self-admitted member of the Black P-Stones street gang, McKinley is charged with misdemeanor resisting police; two misdemeanor counts of criminal damage to property; and he’s being held on an Illinois Department of Corrections warrant, according to court records. McKinley was paroled on September 18 after serving half of a seven-year sentence for being a felon in possession of a firearm in the Burnside neighborhood. In 2009, he received a six-year sentence for committing a robbery in Uptown.